Here’s the exciting news I teased here Friday. Jordan Romero, who in May became the the world’s youngest person to successfully scale Mt. 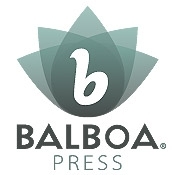 Everest, has released his first book through Balboa Press. “The Boy Who Conquered Everest” is an inspirational children’s book co-authored by Romero and Katherine Blanc that chronicles his climb which culminated with him becoming the youngest ever to summit Everest’s peak; on May 22; at just 13 years old. Romero has climbed the highest mountains on six continents (and Oceana) thus far, and hopes to conquer Antartica’s tallest peak later this year. I don’t about you, but I sure wasn’t self-publishing books and climbing the world’s tallest mountains when I was 13. Check out the book at its official website.